It looks like a techie muscle-tee built for the gym. 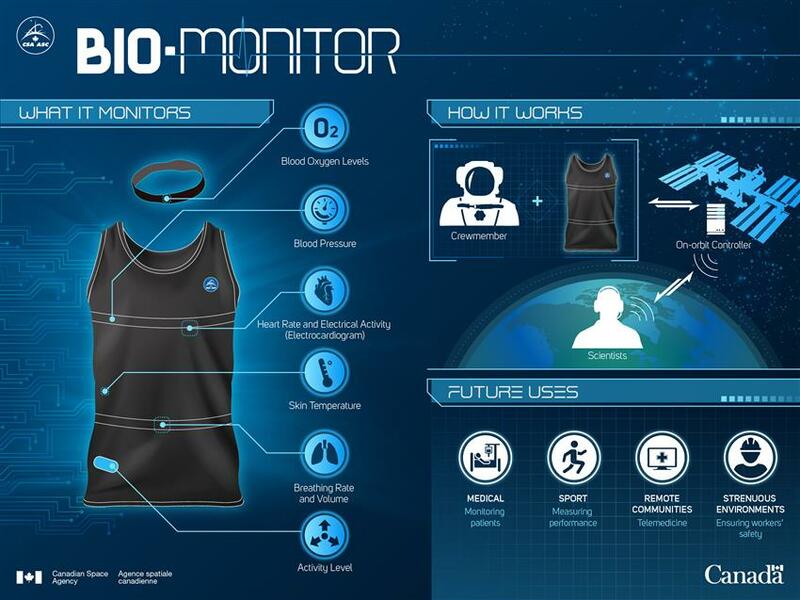 But this tank top can do a lot more than simply catch sweat — it also unobtrusively tracks astronauts’ vital signs. The Astroskin Bio-Monitor System jersey was developed by Quebec’s Carré Technologies, also known as Hexoskin. The company signed a multi-million dollar contract with the Canadian Space Agency (CSA) to develop the jersey back in 2016, according to Air & Space Magazine — and the shirt made it to space in December 2018, where Canadian astronaut David Saint-Jacques tried it out on board the International Space Station (ISS). Sensors woven into the smart shirt’s fabric and an accompanying headband measure everything from skin temperature and blood pressure to breathing rate and blood oxygen levels. It comes with a smartphone and web app for data-syncing — and information tracked by the shirt is beamed back down to an Earth-bound control room for data analysis, too. The idea is to make it easy and efficient to track astronauts’ vital signs on the ISS. Medical devices like electrocardiographs, blood pressure cuffs, and activity sensors are “disruptive and time-consuming” according to an official CSA statement. 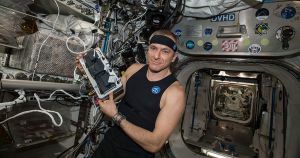 Hexoskin is hoping to make the smart shirt available to all astronauts stationed on board the ISS eventually. And it’s not only for use in space. The shirt could also prove helpful to people who can’t get out of bed or have limited access to health care back on the ground. One downside: two AA batteries will have to be replaced every 48 hours.